Xtenzi Brand GPS antenna 100% Compatible with JVC, EXAD, ARSENAL GPS antenna Will work with following models. or Part no. ------------- KW-NX7000, KW-NX7000BT, KD-NX5000, KW-NT50HD, KW-NT30HD, KW-NT3HD , KW-NX5000 / KW-NX7000 / KD-NX5000 / KD-NX7000 / KW-NT50HDT / KW-NT3HDT /KW-NT700BT , KW-NX700BT ------------------------- Ref JVC Part no : QAM1314-001 , QAL1088-001 This is one navigation magnetic GPS antenna antenna will work a couple of different units. Look at the back of your unit so you will no if this will fit. 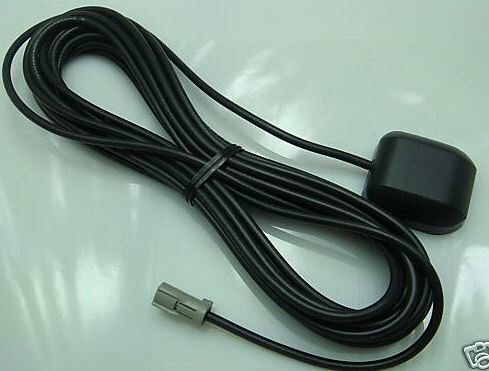 Gps navigation antenna Active High Gain Low Noise Dielectric Antenna, Weatherproof 100%Waterproof , THIS IS NOT A JVC PART, LOGO, PHOTO, OR COPY. THIS PART DID NOT COME FROM JVC. AND WAS NOT MADE BY OR FOR JVC. JVC DOES NOT AUTHORIZE THIS ITEM. THIS ITEM IS A HIGH QUALITY AFTERMARKET UNIVERSAL PART. WILL WORK WITH JVC AND OTHER UNITS. Brand New Garmin - Garmin GA 25MCX Low Profile Remote GPS Antenna "Outdoor - GPS - Accessories"